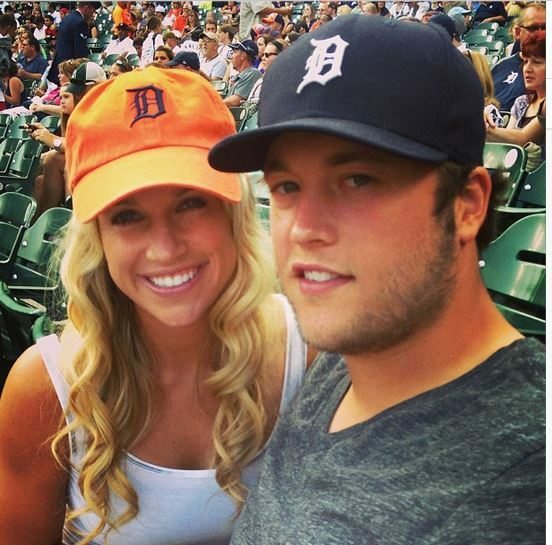 Detroit Lions QB Matthew Stafford has been off the market for quite some time, his wife is the pretty and formerly Kelly Hall now Kelly Stafford. 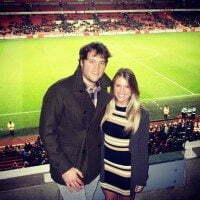 Matthew Stafford from Tampa, he was on his junior at the University of Georgia when he signed a deal with the Detroit Lions, he was named starting quarterback on September 6, 2009. 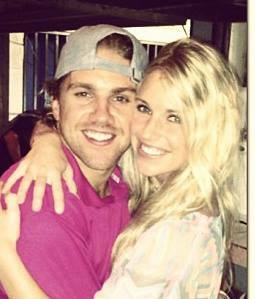 Pretty Kelly Hall from Atlanta, Georgia met her soon-to-be hubby at the University of Georgia. 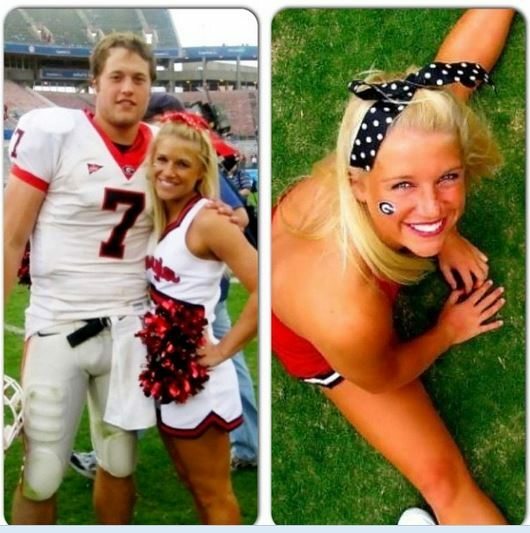 Where she was a cheerleader for the Bulldogs, Kelly and Matt have been dating ever since. 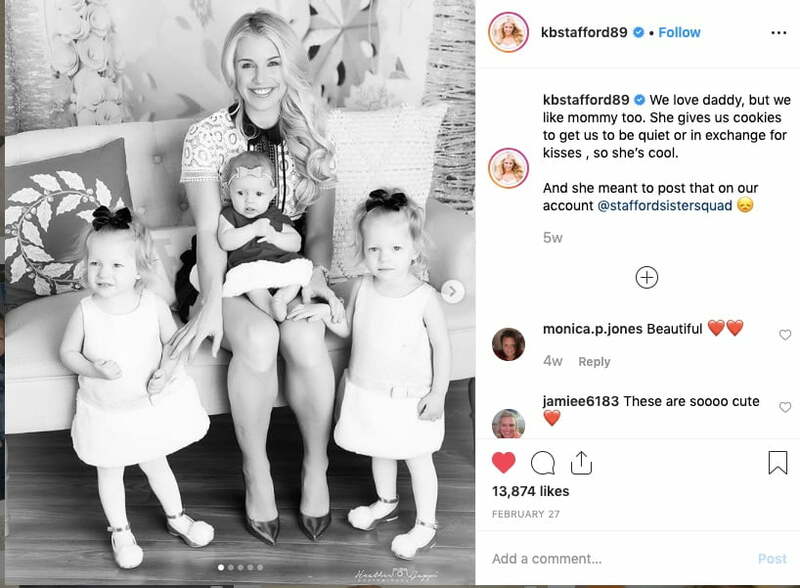 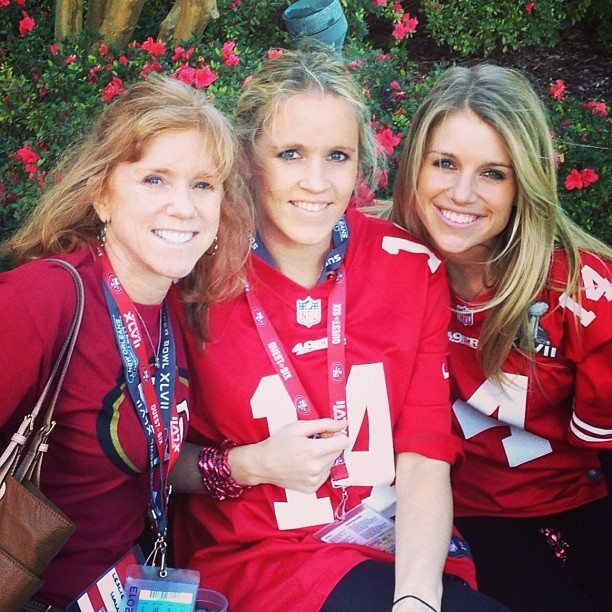 Pretty Kelly Stafford is the youngest daughter of Jack Hall and Leslie Hall, who are also the proud parents of Kelly’s older siblings Jennifer and Chandler “Chad” currently a wide receiver with the Kansas City Chiefs. Lovely NFL Wag! 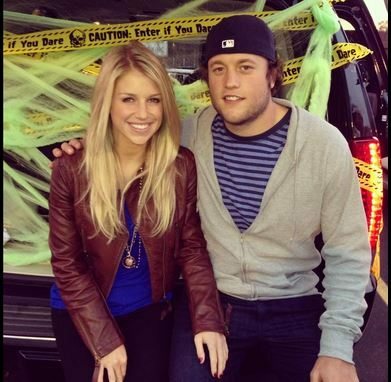 they make a hot couple indeed! 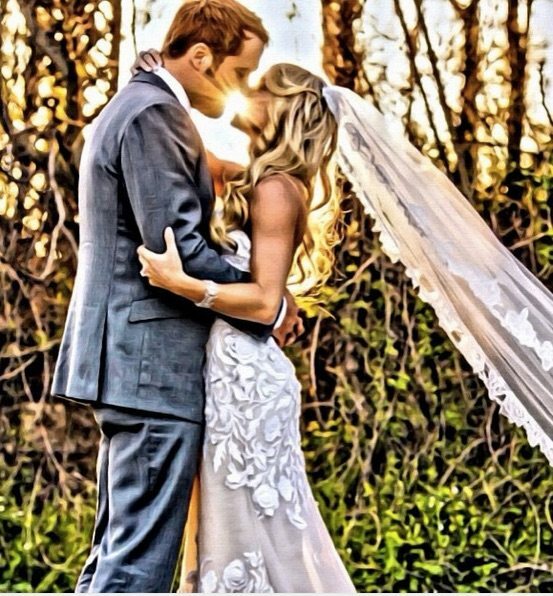 and then after a two-year engagement, the big day finally came! 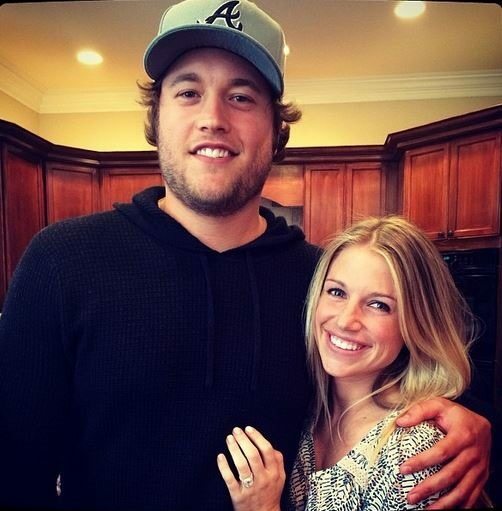 Matt Stafford and Kelly tied the knot on April 4, 2015, in Georgia where the newlyweds met while he was the Bulldogs’ quarterback and Kelly a talented, energetic, and beautiful cheerleader. Incompetent refs were the term Kelly Stafford she used to refer for the league referees who screw up that batted ball at the end of the game between Seattle and Detroit that cost Matt and the rest of the Lion the game. Kelly and Matthew Stafford have since welcomed three beautiful daughters; twin girls Sawyer and Chandler born on March 2017 and Hunter Hope born on August 16, 2018. 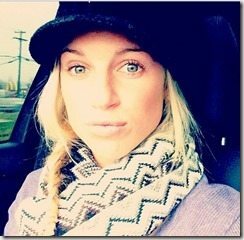 On April 3, 2019, Kelly revealed she experienced severe bouts of vertigo and later underwent an MRI that showed she had a benign tumor in the brain, called an acoustic neuroma. 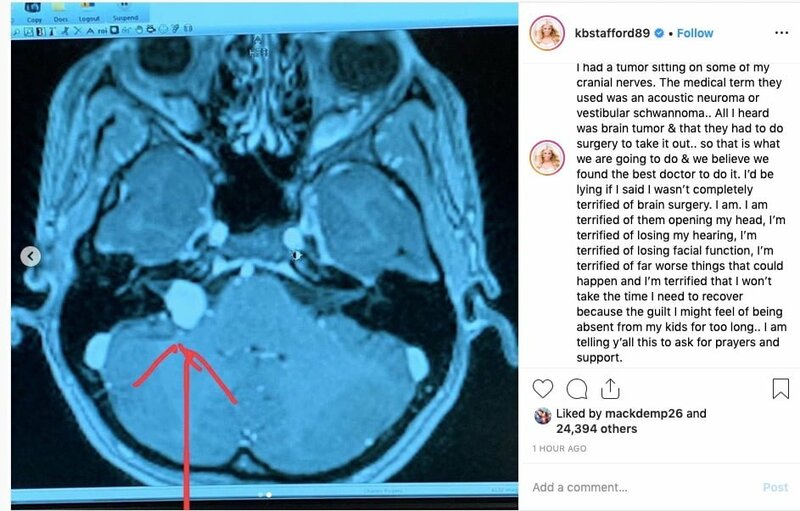 She will be having surgery to remove the tumor within weeks. Follow Kelly Hall on Twitter here.